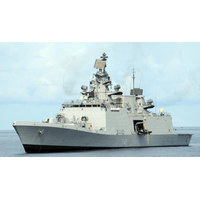 GE Marine will provide gas turbine auxiliary equipment for the LM2500 engines that will power the Indian Navy’s new P17A frigates. 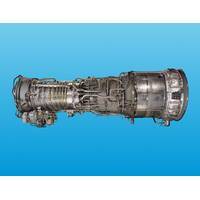 This contract is with India-based Mazagon Dock Shipbuilders Limited (MDL) and Garden Reach Shipbuilders and Engineers Limited (GRSE), GE reported today at the Aero India trade exhibition.Under the contract, GE will provide gas turbine auxiliary equipment for seven ships to support the 14 LM2500 engines previously supplied under a separate contract. 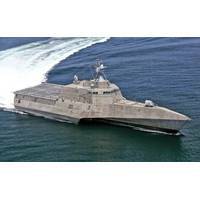 GE's Marine Solutions' LM2500 marine gas turbines now power the U.S. Navy's USS Manchester (LCS 14). This Littoral Combat Ship was commissioned on May 26 by the U.S. Navy in Portsmouth, N.H.Each of the two LM2500 engines produce over 29,500 horsepower, propelling the USS Manchester to speeds of 40+ knots or 46 miles per hour. To date, GE has contracts to provide gas turbines for ships up to LCS 30 (even ship numbers are Austal Independence class ships). In addition, Austal is one of five shipyards that have been awarded a concept design contract for the U.S.
GE Aviation’s marine gas turbines are the ideal solution for the Royal Canadian Navy’s next generation surface combatant program, GE Marine said Thursday at the CANSEC 2018 trade exhibition.“GE’s LM2500 family of engines are used by the Royal Canadian Navy and 34 other navies worldwide, setting the benchmark for reliability. The global fleet of GE gas turbines has logged over 15 million operating hours in the marine environment and another 90 million in industrial applications,” said Brien Bolsinger, GE’s Vice President, Marine Operations, Cincinnati, Ohio. Two GE LM2500 marine gas turbines power the Japanese Maritime Self Defense Forces (JMSDF) newest destroyer JS Asahi (DD119). This first of two new destroyers in the JMSDF’s Asahi-class destroyer program was recently commissioned by the JMSDF. The ship was built by Mitsubishi Heavy Industries (MHI) at its Nagasaki Shipyard & Machinery Works in Japan. “We work in concert with IHI, our longstanding partner in Japan, to supply LM2500 marine gas turbines to the JMSDF for this new destroyer and other surface combatant programs,” said GE’s Brien Bolsinger, Vice President, Marine Operations. GE’s Marine Solutions has announced that its LM2500 marine gas turbines have been selected to power the United States Navy’s new DDG 126 and 127 Arleigh Burke-class destroyers. These new destroyers are being built by General Dynamics Bath Iron Works, Bath, Maine. “Each of these sophisticated new surface combatants relies on four powerful GE LM2500 marine gas turbines in a combined gas and gas turbine -- or COGAG -- propulsion arrangement,” said GE’s Brien Bolsinger, Vice President, Marine Operations. 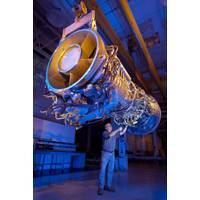 “We are honored that this reliable gas turbine assists with our country’s national security. GE's Marine Solutions division said it has shipped a LM2500 marine gas turbine propulsion module that will help power the U.S. Navy's 75th DDG Arleigh Burke-class destroyer Jack H. Lucas (DDG 125). 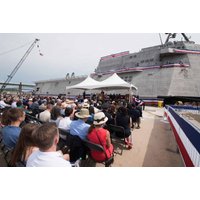 Shipbuilder Huntington Ingalls Industries' Ingalls Shipbuilding division will construct this new destroyer with U.S. Navy Flight III upgrades incorporated. 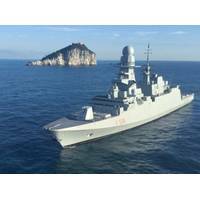 Each DDG destroyer features four GE LM2500 marine gas turbines in a combined gas turbine and gas turbine (COGAG) configuration. "Since 1991 - for just the U.S.
GE’s Marine Solutions said it has shipped a LM2500 marine gas turbine propulsion module that will help power the U.S. Navy’s 75th DDG Arleigh Burke-class destroyer Jack H. Lucas (DDG 125), the company reported at the Surface Navy Association’s 30th Annual Symposium. 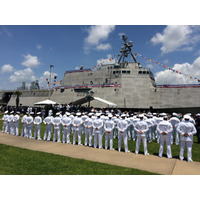 Shipbuilder Huntington Ingalls Industries’ Ingalls Shipbuilding division will construct this new destroyer with U.S. Navy Flight III upgrades incorporated. Each DDG destroyer features four GE LM2500 marine gas turbines in a COmbined Gas turbine And Gas turbine (COGAG) configuration. 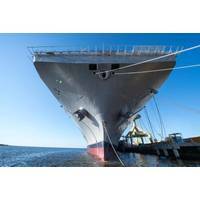 “Since 1991 – for just the U.S.
GE and CSIRO’s Data61, Australia's data innovation network, have developed a data analytics solution that will give the Royal Australian Navy greater insights into their fleet engine performance and enhance operational efficiency. 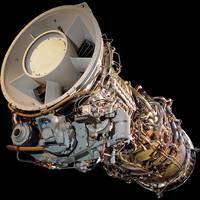 GE supplies the Royal Australian Navy with its LM2500 gas turbines that power the Anzac, Adelaide, Canberra and Hobart class vessels. 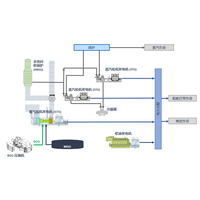 CSIRO’s Data61 has developed an application that will process data from GE engines captured from sensors and use advanced analytics to identify where improvements can be made. GE’s Marine Solutions signed a Memorandum of Understanding (MOU) with RJE Global, Morphettville, South Australia, whereby RJE will assemble GE LM2500 gas turbine modules and manufacture a number of components for this engine in support of the Royal Australian Navy’s new SEA 5000 frigate program. The MOU was signed by both companies recently at RJE’s facility in Adelaide. The nine-ship SEA 5000 Future Frigate Program will replace the aging Anzac class frigates. GE’s LM2500 gas turbines are operational on two of the short-listed qualified ship designs -- Fincantieri’s FREMM and Navantia’s F100. 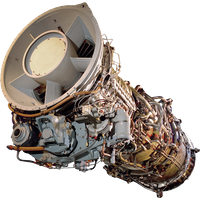 GE’s Marine Solutions said its LM2500 family of aeroderivative marine gas turbines have been selected to power two newbuild surface combatants for U.S. Navy and Coast Guard programs. Specifically, two LM2500+ gas turbines will power Bougainville (LHA 8), the U.S. Navy’s newest multi-purpose amphibious assault ship. Construction is expected to begin shortly according to shipbuilder Huntington Ingalls Industries. 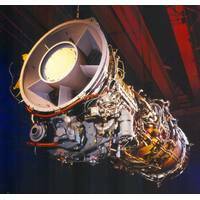 GE LM2500+ gas turbines also power first-in-class USS America (LHA 6) and Tripoli (LHA 7). 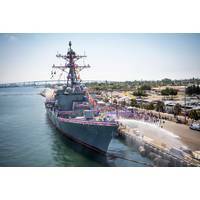 The U.S. Navy’s USS Rafael Peralta (DDG 115) destroyer was commissioned at its homeport of San Diego, Calif., on Saturday, July 29. The vessel is powered by four GE LM2500 marine gas turbines. “This sophisticated new Arleigh Burke-class destroyer is part of the U.S. Navy’s Flight IIA for the DDG 51 and it is powered by on our LM2500 – the world’s most reliable marine gas turbine – in a combined gas turbine and gas turbine or COGAG configuration,” said GE’s Brien Bolsinger, Vice President, General Manager, Marine Operations, Evendale, Ohio. “The U.S. The U.S.
Air New Zealand said its Gas Turbines business unit has been awarded four contracts from the U.S. Navy worth up to $42 million to service its fleet’s gas turbine engines. The contracts will see the Auckland based Gas Turbines team carry out maintenance and overhaul work of the General Electric LM2500 gas turbines that power much of the U.S. Navy fleet for the next few years. Air New Zealand Chief Operations Officer Bruce Parton said the contracts are an important win for the airline, and the company participated in aa competitive bidding process to secure the work.